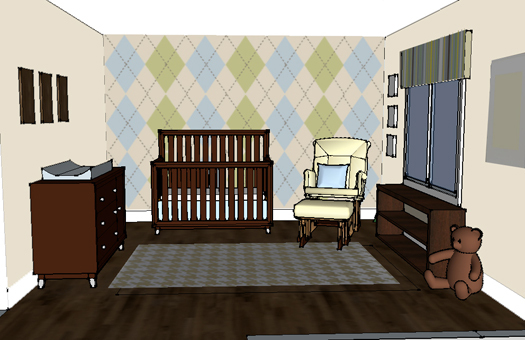 After seeing my post of inspiration for a Preppy Alligator Nursery, my friend fell in love with the idea of a Preppy Nursery, complete with Argyle Wall for her baby boy. I designed this room idea for her. Then she asked me if I could paint the wall. errr, um, ahhhh, ahem. Design is one thing. Execute in a REAL ROOM?!! I design sets. If I mess up, no one has to live with the consequences. This child will grow up in this room. That's a lot of pressure. However, my sputtering did not deter my friend's confidence in me. So, this week I'm in Toronto, and I'm attempting to practice what I preach blog. Armed with a measuring tape, laser level and paint, I will attempt to turn an ordinary wall into a sock! (that's what my mom says it looks like!) Stay tuned for pics AND video of the results. Does the number A113 Mean Anything to you? I only just learned the significance of A113 myself, working on a promo piece for Pixar's Cars 2. A113 was the room number for the animation class at California Institute of the Arts. Many alumni of the school use it in their projects. 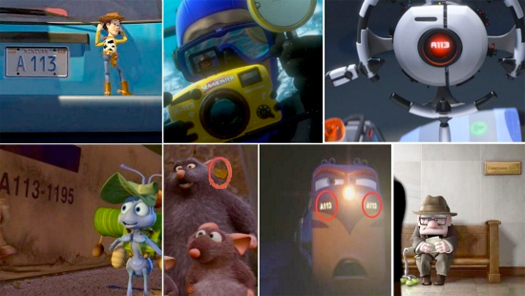 If you pay careful attention you can spot the number in nearly every Pixar film. Check out the promo below and see if you can spot the specially made prop featuring the number. There are a few other fun things to watch for so don't blink. Also, next time you are watching Toy Story, or Cars for the billionth time, maybe it will give you something new to snag your interest. Keep an eye out and let me know where you spot A113 next. Shopping for a photo shoot this week I came across this amazing* wall sconce in a thrift shop. Since I have elephants on the brain lately, for $20.00 (not including the shade) I had to make it mine. 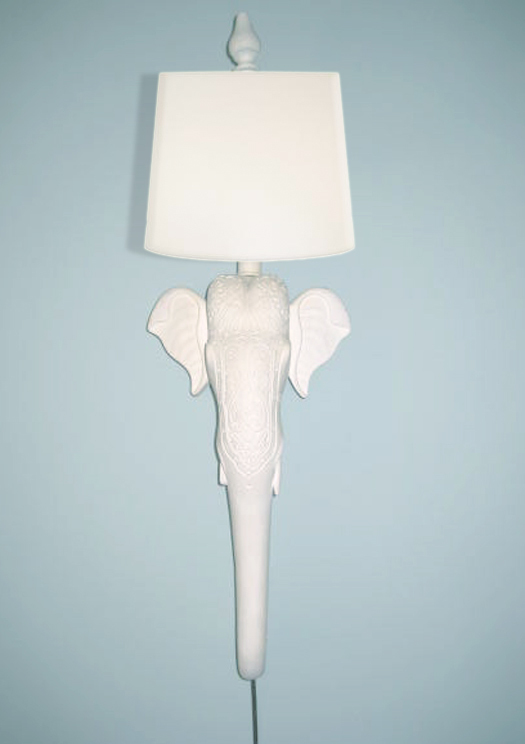 That got me thinking about a nursery I'm designing and what a great addition a sconce would be in the corner. 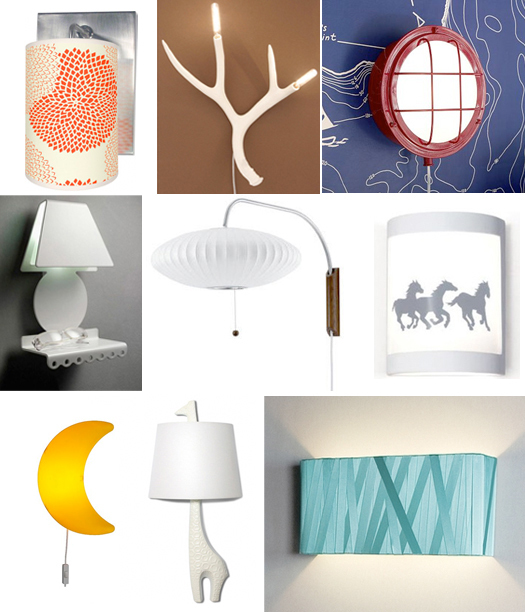 Functional and decorative a wall light could be a great accent for a nursery. Here a just a few of my favs. My newest Skårt will soon be up on my site. 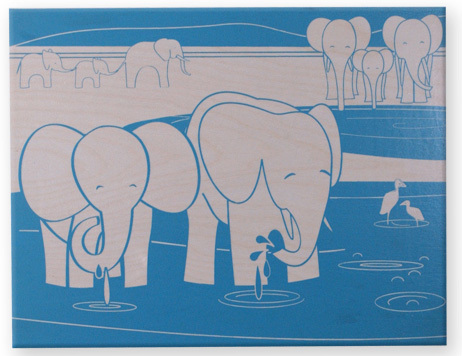 It's a two panel series called "The Watering Hole" and it features a Tribe of African Elephants who have Gathered around a river of water to bathe and play and drink. I have been sketching, doodling and drawing elephants for the last two months (There are 16 of them total in my latest art piece). 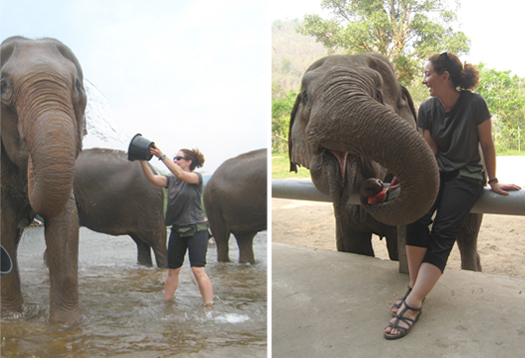 So when I arrived in Thailand and found out that it was possible to go to an elephant conservation center and interact, feed, and actually even help them BATHE in their own watering hole, you can imagine my excitement. When logging was banned in Thailand in 1989 it not only left a lot of people unemployed but it left a lot of domestically trained elephants also out of jobs and with no purpose. It's a sad story of what happened to a lot of them. I'm thankful to report that due to recent government regulations I did not see one elephant begging for food and money in the city (something that has actually been going on for years). 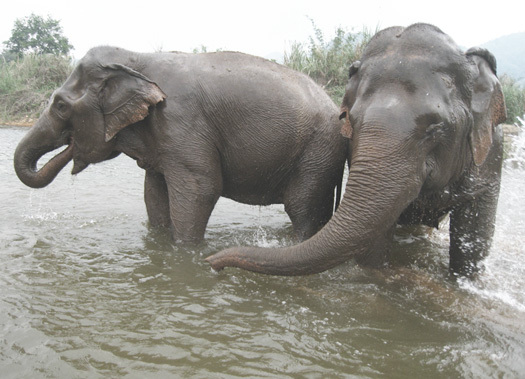 What has sprung up particularly in the Chiang Mia area are "Elephant Camps" Places where these unemployed, sometimes slightly abused elephants can live out their retirement years in peace with the occasional ride and show for the tourist. I chose to visit The Elephant Nature Foundation, an amazing camp that has 36 Elephants, most who have come to the camp after receiving injuries and abuse from their owners. Tourist can spend a day, a week or even months volunteering at the camp and marveling at these amazing creatures. I only had time for one day, but that one day has made a life time impression. 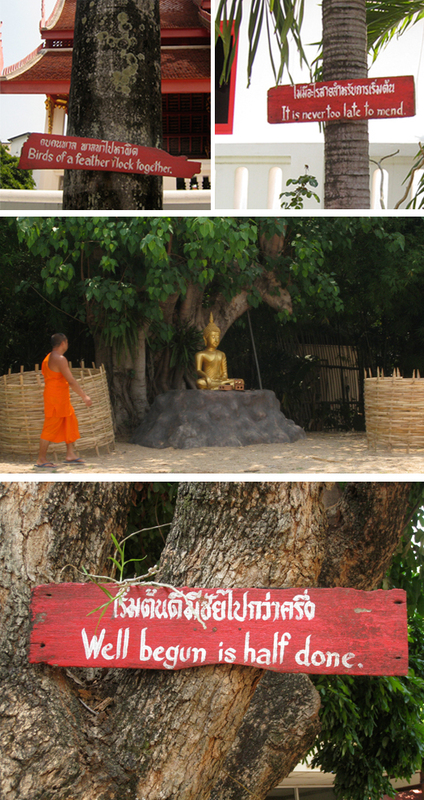 I spend the day wandering the streets of Chiang Mai and came across a Wat (aka Temple) with these wonderful hand painted signs. I'm a sucker for perfectly weathered signs especially when they contain words of inspiration.